I met C. S. Lewis (through his stories) when I was around four or five years old. I just turned forty a few weeks ago and I’m still meeting Lewis after all these years. He seems to me to be an author you discover, rediscover, and then rediscover again. How many times I’ll re-meet Lewis I don’t know yet. When I’m dead you can count them up for posterity. My first encounter was through that old 70s animation of The Lion, The Witch, and The Wardrobe that they used to air every Christmas season along with Rudolph and Frosty and the rest. It was a great Christmas story, what with the ‘always winter and never Christmas’ scenario. But what really hit me was that young schoolchildren just a little older than me got to take up medieval arms to aid fabulous creatures like centaurs and talking beasts in battle with forces of evil. I mean, I really wanted a sword and shield from Father Christmas like Peter and Edmund got! The other thing was that scene with all the scary creatures taunting Aslan as he was about to be executed. It was surprisingly horrifying to my young eyes, despite the corny Schoolhouse Rock animation style. I loved monsters from as young as I can remember and this story provided them on the side of both good and evil. When I was home sick with a fever for two days in second grade, my dad gave me a copy of the book the animation was based on to read. I finished it in those two days and my dad and I had a nice chat about its allegorical themes. I read and loved more volumes in the Chronicles of Narnia during grade school (my favourite theme, I think, was the travel by unsuspected portals from this world to another), but my next major meeting was in reading The Screwtape Letters. I read the thing twice before I was thirteen. I think I hardly understood a word of it, but it enthralled me. It was both sinister and comical, though in ways I couldn’t really comprehend. It was all feeling and impression reading that book. But it stuck with me. Way under the skin. Then came a formative moment in my life. Eighteen years old and freshly graduated from high school (a small miracle for this underachieving student), I picked up my dad’s copy of Mere Christianity. I’d been living a very rich imaginative life all along, but aside from some dabbling essays in English Literature in junior and senior year, I hadn’t really pursued anything consciously intellectual. So Lewis’s classic of pop-apologetics blew up in my mind and sent it spinning and expanding into a newly formed cosmos of intellectual life. (Only this moment do I recall that I almost immediately started trying to jot my own philosophical musings into a notebook – soon misplaced and never recovered I’m glad to say.) I had no idea the Christian faith I felt beating in my breast had such meat for my mind also. (I did actually, but it was implicit – Lewis’s writing helped make it explicit.) I also read the opening chapters of Miracles right after that and its main influence on me at the time was to place all the magic Lewis had enriched my childhood with into an intellectual framework that made it not merely a cheat, a diversion, an escape, but rather a window into reality, another unsuspected portal. This put me in true awe. The otherworldly was real! (Christians, of course, ‘officially’ believe this already. But they don’t really believe it sometimes, and then when they at last do–really–it’s gobsmacking.) Lewis was already helping me marry mystery and reason. Both my intellect and my sense of wonder were on gleeful overload. Then came another moment in my life equally formative, equally earth-shattering and life-shaping. Early twenties, freshly married and raising very young children with my wife, I met Lewis around a new corner: his adult fiction. First came The Great Divorce (a book I’d seen many times and never even knew it was fiction!). If I say it flooded me with new depths of theological mythopoeia, I’m afraid you’ll think my eulogising has gotten out of hand and I’m just stuck on paean-repeat, drooling out indiscriminate praise to a favourite author. Not so, not so, I assure you. It’s been a profound thing getting to know this Mr. Lewis. Heavenly realities could never again seem anything but solid after reading The Great Divorce. Next up was the ‘Space Trilogy’. I devoured all three books in about a month and proceeded to write a number of songs based on them that featured in the final album of the band I was in at the time. I’ve been blessed to hear over the years that a number of fans of the band first encountered Lewis’s science fiction trilogy through that album. Malacandra and Perelandra were incredibly special places in my imagination for years to come and it was through these books that I first decided that I would finally take up my childhood dream of being a writer, a creator of my own fictional worlds. You don’t easily forget an author that instigates that kind of life goal. I continued to read him in my thirties but, as I’ve heard many others confess, there came a period where I sort of thought I had ‘graduated’ from C. S. Lewis. I still read him, but much more occasionally. I still cherished the memory of our first meetings and re-meetings, but I was into lots of other authors by now and Lewis could only teach me so much after all. But the brilliance of his thinking keeps coming round to me with fresh force. One example will suffice: as I’ve been very slowly developing a theology of monsters and theology of horror over the years, Lewis keeps meeting me at every plateau I reach in my ascent, already sitting there with a fire going, ready to refresh me and offer much needed guidance. When I wrote an article on ‘theology of darkness’, in which I mainly focused on the Bible’s dark theophanies (instances where God appears to his people in the form of deep darkness), I realised that Lewis had embodied this very theme at length in Perelandra. He has Maleldil instruct Ransom in the depths of the Venusian night, speaking mystically to him as a divine Voice of Darkness. 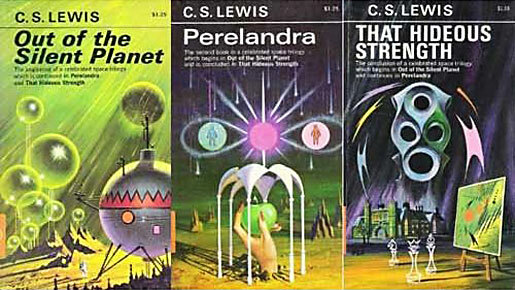 I’ve also only recently realised that Lewis actually had his own well-developed theology of monsters exemplified by the Hrossa’s relationship to the sea-monster Hnakra in Out of the Silent Planet, and that their poetic belief was ecological too, confirming discoveries and connections I’d been seeing between monsters and theology and ecology. Needless to say, I now know Lewis is always way ahead of me and I’ve gotten over thinking I’ll ever be anything but apprentice to his mastery. I look forward to fresh meetings and I trust they are all ghostly precursors to our Real Meeting. Lewis has a face now and I know we who yet remain in the Shadowlands can’t meet him until we have faces too. 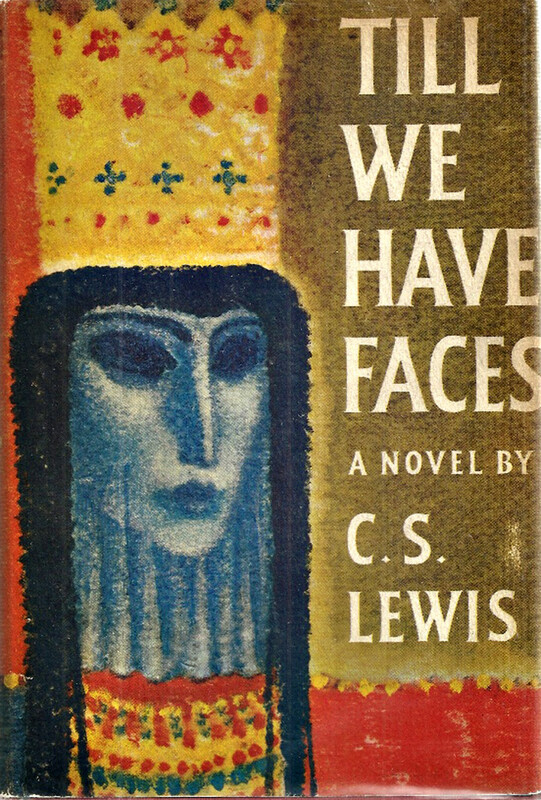 This entry was posted in Uncategorized and tagged C. S. Lewis, C. S. Lewis 50th Anniversary, Malacandra, Memorial, Mere Christianity, Narnia, Out of the Silent Planet, Perelandra, Space Trilogy, The Great Divorce, The Lion The Witch and The Wardrobe, The Screwtape Letters by danielottojackpetersen. Bookmark the permalink.